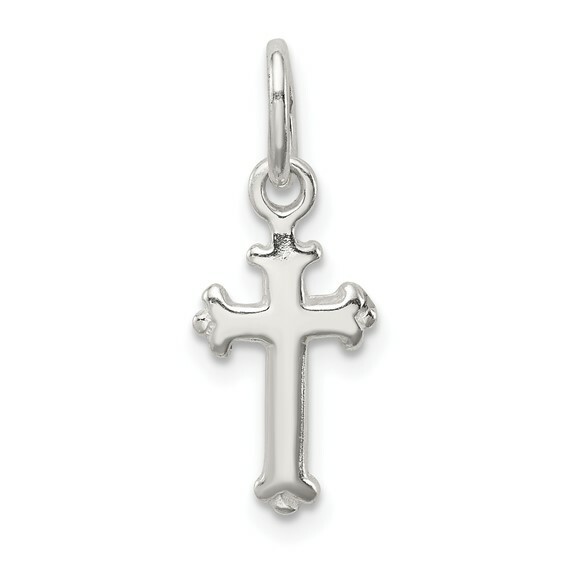 This smooth fleur de lis cross charm is made of polished sterilng silver. Measures 1/2 inch tall by 5/16 inch wide without bail. Weight: 0.5 grams. As a royal symbol of France the fleur de lis and its likeness are used as a symbol of the Virgin Mary, Queen of Heaven.